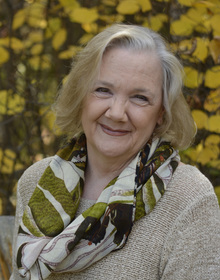 We are sad to announce the passing of Deborah Faye Blower, who succumbed to cancer on April 10. Deb was an RRC instructor for 30 years, and Recognition of Prior Learning (RPL) Facilitator prior to her retirement in 2016. Cremation has taken place. A Celebration of Deb’s Life will be held on Thursday, July 25, 2019 from 6:00 to 8:00 PM at the Qualico Family Centre, Assiniboine Park, Winnipeg. In lieu of flowers, donations in memory of Deb may be made to CancerCare Manitoba Foundation, 1160 – 675 McDermot Avenue, Winnipeg, Manitoba, R3E 0V9 or online. Buzz on Not the brightest light in T.O. Otis on Not the brightest light in T.O. A. Pewtey on Not the brightest light in T.O.